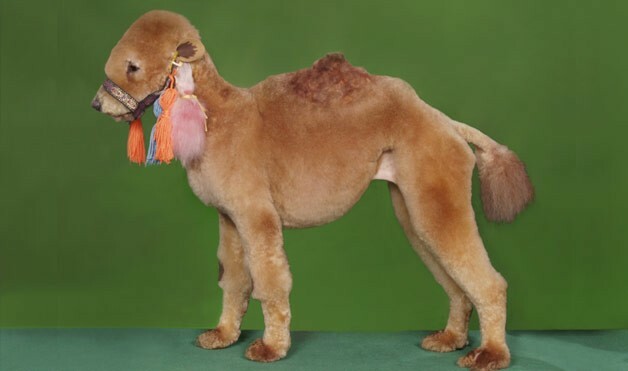 This bizarre trend started with professional groomer Jerry Schinberg of Des Plaines, Ill. Schinberg held the first-ever “regular” dog grooming competition in 1973, and is credited with introducing the art of creative grooming in 1980. “I got the idea from going to beauty shows for hairstyling for women,” says Schinberg. 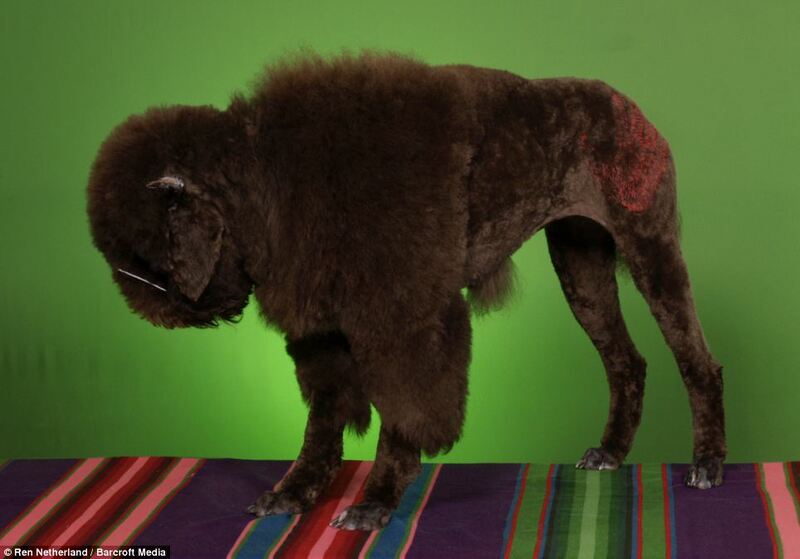 The dogs are transformed into animals with the use of vegetable-based dyes, or child-friendly products, such as colored chalk. 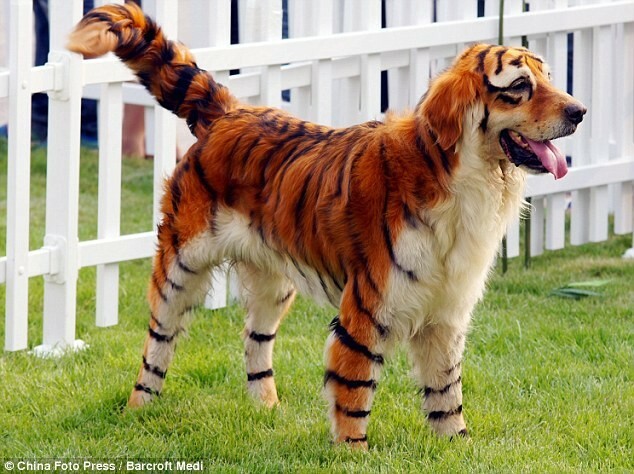 Now, because of the popularity of extreme dog grooming there are even colour products made specifically for dogs. 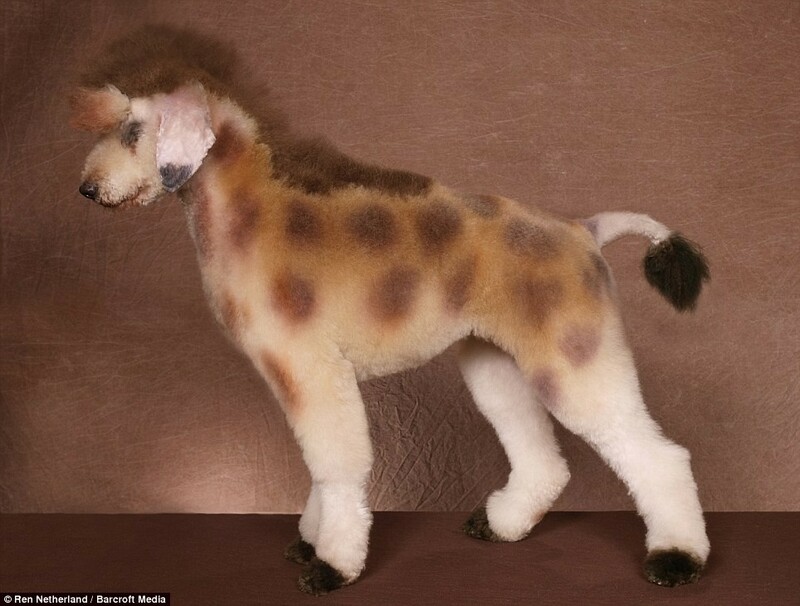 Critics claim that the practice of creative dog grooming is not only tacky but also degrades the dogs. But Schinberg dismisses these claims. For more bizarre dog photos visit dogs in clothes.